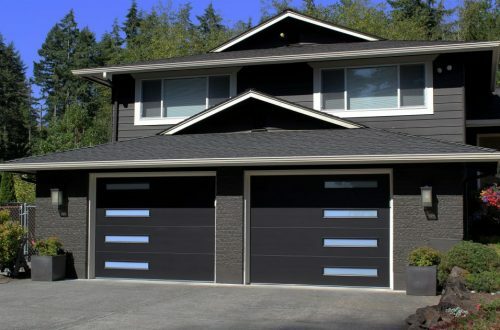 The new Modern Tech steel garage door offers the Beauty of Aluminum with the Strength of Steel. A 24 gauge steel face and a high density (EPS) R12 polystyrene core makes the Modern Tech extremely strong and energy efficient. 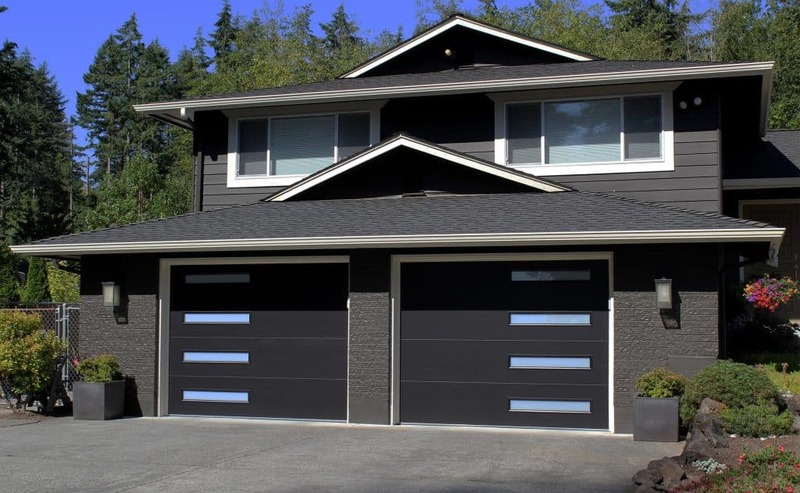 It is built using Northwest Door’s time-proven sandwich-type construction method and comes in three simulated anodized finishes: Black Satin, Dark Bronze and Brushed Nickel.